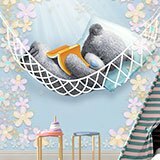 Wall mural Bear sleeping in a hammock. 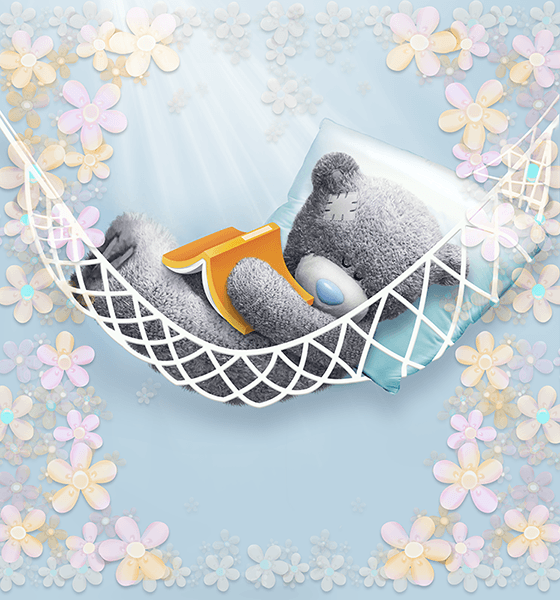 A grey bear with a patch on his head sleeps peacefully in a hammock among flowers. 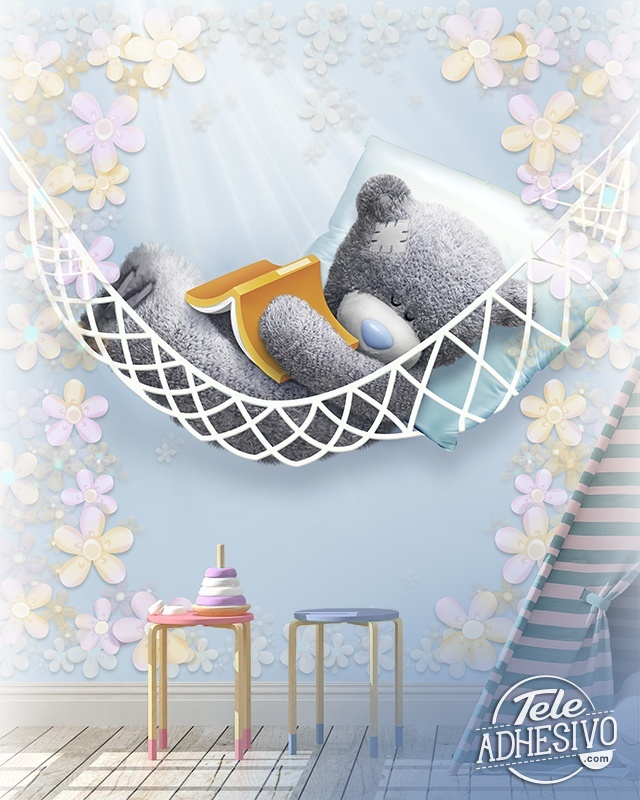 He has fallen asleep while reading his favorite story, now he will be dreaming that he himself is the character of the same. 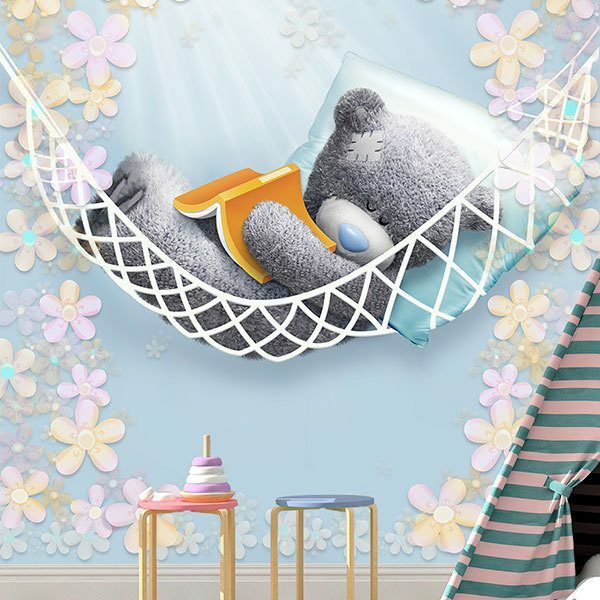 Ideal to decorate the room of the smallest of the house. Size: 61 x 39 cm.